Since February is probably the last time that I expect to see pomegranates in the grocery store here, I like to make sure that I have some throughout the year . 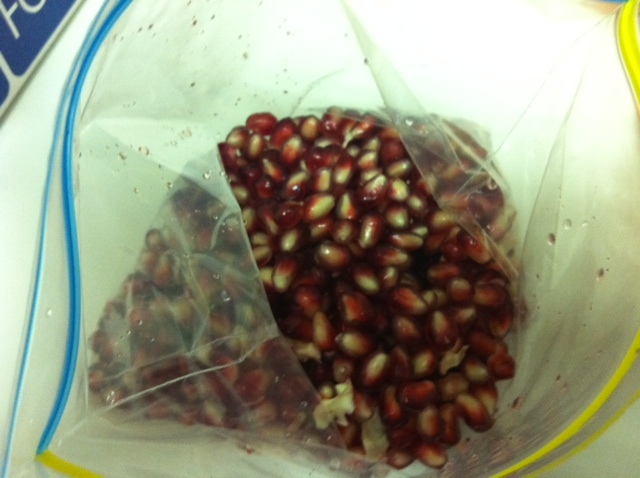 I buy a few then take out the seeds and put in Ziploc bags and freeze them. Use them for garnishing salads, Shafuut or even just as cold snacks. They taste yummy!